Looking for a bite after a busy morning of inspections? This week Street News writer Jessica Hoadley had breakfast with a difference at one of Kensington’s most sophisticated cafes, The Premises. In the strip of cafes on leafy Bellair Street opposite Kensington Station, The Premises stands out due to the crowd of hungry locals spilling out the door. It’s not the cheapest option, but a glance at the menu reveals it has by far the most interesting breakfast choices on the street. You won’t find a stack of pancakes or an eggs benedict here, but we were intrigued, and seated soon enough at the bar in the front window. I figured I better try ‘The Premises Eggs’: two poached eggs, green olive tapenade, Persian feta and a zucchini salad on organic toast. The olive spread was tangy, the feta creamy, and the zucchini was julienned into ribbons topped with lemon and fennel. It tasted healthy and fresh, while satisfying. 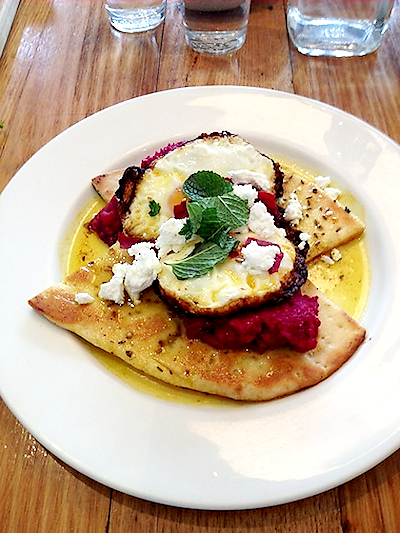 My friend went with the ‘Kenso Eggs’: two fried eggs, cumin, beetroot relish and goats cheese on Lebanese flatbread. He discovered he doesn’t really love beetroot, it was a bit too sweet for him, but he liked the crunch in the flatbread and the spice and mint on the eggs. I had a hot chocolate too, after the waitress suggested it might be the best one I’ve ever tasted. 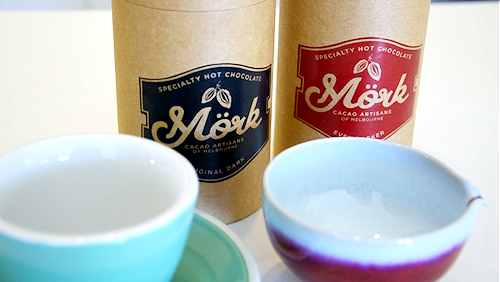 The Premises uses Mork specialty hot chocolate powder, which is dark and cocoa-y, very different to the sugary Cadbury drinking chocolate you’ll find in most cafes. Served in a gorgeous rustic mug, with a thimble of organic coconut sugar on the side for me to add to my taste, it was definitely something special. 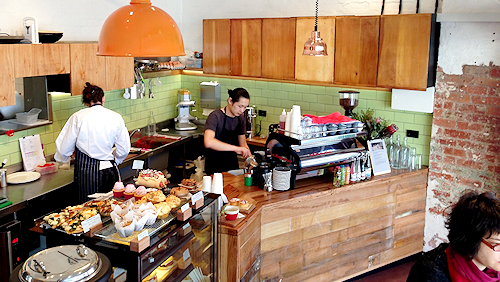 Proving popular and busy especially on weekends, The Premises has taken over its neighbour to create The Premises Jr, a small space next door to cater for takeaway coffees, cakes and quick treats. So whether you’re after a full meal or just a takeaway coffee and muffin, check out Kenso’s much-loved Premises.